With the season winding down sprint car fans in Michigan will have plenty of options Friday and Saturday to take in racing while leaving Sunday and Monday open to head out of state for more racing or doing something fun away from the track. 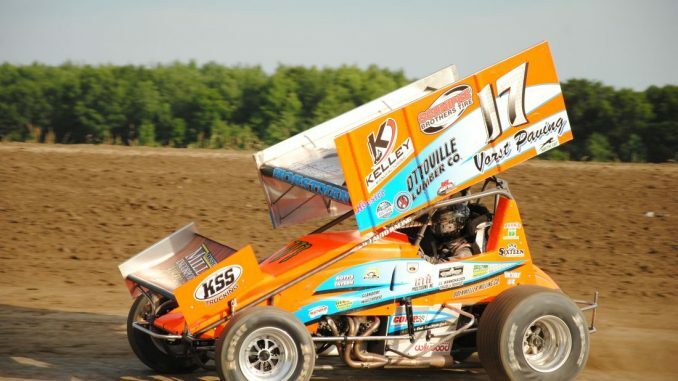 The Great Lakes Super Sprints take the spotlight for the first time in the highest paying local sprint car show of the season Friday and Saturday at Tri-City Motor Speedway. With Saturday’s finale paying $5,000 to win and $500 to start this makes the “Fall Sprintacular” the second best purse for a sprint car race in Michigan this season second only to the World of Outlaws. Teams have responded with entries closing in on 40 for the big event. Tri-City GLSS officials are hustling to make the two-day program a true event with Friday featuring the winged sprint cars and Outlaw Late Models. The Michigan Traditional Sprints join GLSS on Saturday’s program. With vintage sprint cars on display Saturday this is one of the biggest sprint car events of the year and the biggest on the east side of Michigan in recent memory. Tri-City is still relatively new in the dirt world compared to the other tracks in the state, but that has not stopped me from highly recommending a visit there. Promoters Steve and Erika Puvalowski are building the facility up a little at a time, but one can see it has potential to do big things. When I lived in Bay City I felt a well-run dirt track between the Tri-Cities (Bay City, Saginaw, and Midland) would be a huge hit. The Puvalowski’s are proving that prediction to be correct. The more traditional options for Labor Day are also in play with the Sprints on Dirt tour in action Friday at Hartford Motor Speedway and Saturday at Crystal Motor Speedway. While Chad Blonde has the championship virtually locked up this is the final chance to see sprint cars in southwest Michigan this year. Crystal’s Saturday program is always a fan favorite and kicks off two big nights of racing at that facility. While Crystal is the final point race SOD’s season is far from over. The Sprints on Dirt added a makeup non-point event at I-96 Speedway September 21st and have their “big money” program at Berlin Raceway paying $4,000 to win and $350 to start along with the American Ethanol Late Model and Modified tours. Butler Speedway has their final point night Saturday where Boston Mead is likely to secure the track championship. Mead, the son of former SOD champion Mark Mead, has turned heads the past couple of seasons and is the top young sprint car prospect despite not receiving the same amount of press as other young drivers in the area. Can anyone stop Steve Irwin in MTS Competition? After starting off the season with a big crash at Waynesfield Raceway Park Steve Irwin has put together a tremendous 2018 season. With a victory at Gas City I-69 Speedway and several MTS wins including against one of the relatively deeper fields for the series at Hartford Motor Speedway, Irwin has a commanding lead going into Tri-City with the finale for GLSS taking place in two weeks at Crystal Motor Speedway’s Great Lakes Nationals. The MTS purse at Tri-City received a boost as well paying $1,250 to win and $250 to start.